The next SAA 1-day symposium “Avoiding Failure in Adhesives and Sealants” is only 1 month away, 16th May this year. As you may have seen reported by media, we understand from the Titanium Dioxide Manufacturer Association (TDMA) that no vote took place yesterday in the REACH Committee on the 14th ATP, including the proposal to classify TiO2. It appears that the discussions and vote were cancelled shortly before the meeting started. TDMA arel gathering information on the reason for the cancellation, and BASA will update members as soon as we have further information. 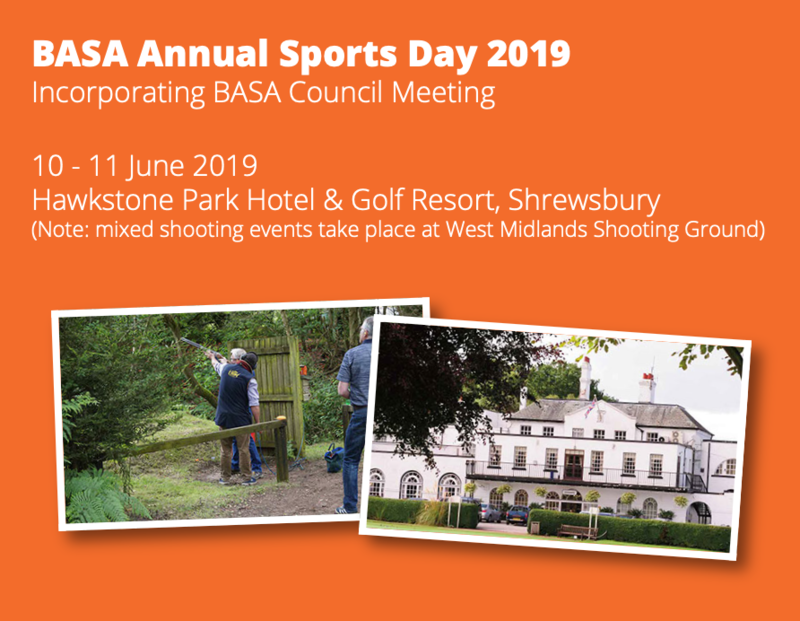 BASA members can now book their place on this years Sports day - a day of Shooting or Golf (or a mix of both), followed by a great networking celebration and presentation of the sporting prizes to the winning participants. Don't miss out - book today! 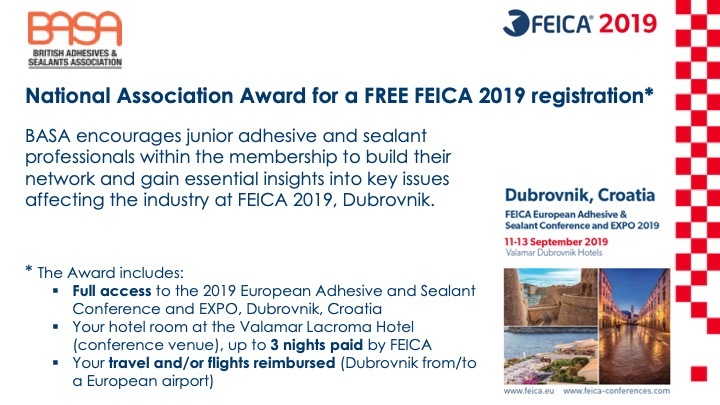 To encourage members to send more employees in the 30-40 age group to this years FEICA conference, we are participating in a FEICA competition to award 2 FREE places to encourage some ‘younger’ Participation. in particular this is aimed at employees of SME companies in the 30-40 years age group who are working in a technical or marketing role. The Department for Business, Energy and Industrial Strategy (BEIS) is putting on a series of ‘Preparing for Brexit’ webinars which are designed to help businesses to ready themselves in the event of the UK leaving the EU on Friday 29 March 2019 without a deal. They will cover many of the most important changes that you should be aware of and actions that you can take now, where appropriate. Each of them will be an hour long, including Q&A at the end. Please see the details and links below. The Government’s primary aim is to ensure that the UK leaves the EU on 29 March with a negotiated deal which will honour the result of the referendum. However, as a responsible government, it continues to plan for all eventualities, including one in which the UK leaves the EU without a deal. This paper summarises Government activity to prepare for no deal as a contingency plan, and provides an assessment of the implications of a no deal exit for trade and for businesses, given the preparations that have been made. Please note that the next Croner partner webinar will cover an introduction to redundancy – a topic which routinely features in all members’ calls each and every week. The sessions will be held this Wednesday and Thursday so BASA members should log on to the members only area to access the booking information. BASA's Industry Lunch will be held at Jaguar Landrover Castle Bromwich on 28th March 2019. We will be having an Open Industry Forum and the AGM immediately before Industry Lunch and all members booking for the Industry Lunch will be invited to take the factory tour after lunch. Members are now able to book their tickets on the Mint Events managed website. If the UK leaves the EU on 29 March without a deal, UK businesses that manufacture or import chemicals from the EU will have to register those chemicals to a new UK regulatory system, UK REACH (Registration, Evaluation, Authorisation and Restriction of Chemicals) using its associated UK REACH IT system.